If you are planning to declutter your office, you will probably rely on all-around office clearance services in London. Calling in professional rubbish collectors will make this process much more time-efficient and it will reduce your company’s downtime. Simple right? Well, there is a certain type of waste with which you should be extra careful – confidential waste. All companies, big or small, local or international, deal with confidential waste almost on a daily basis. There are special laws which they should follow when they do that. Otherwise, they will be forced to pay a hefty fine and risk losing important corporate information or having the personal information of their personnel stolen. Companies that produce confidential waste must be very careful about the way they dispose of it. That is not only because it may end up in the wrong hands if not handled responsibly (thieves, hackers, fraudsters, etc.) but also because you will get fined by the government. That is due to the fact that the UK has adopted the Data Protection Act back in 1998. According to this law, every organisation that collects or works with confidential data needs to use the services of a certified confidential waste disposal expert. If you fail to do that, you will be required to pay a fine of up to £500,000. There are a few different ways in which experts get rid of this type of waste but the most popular of them include hard drive destruction and software wiping (for confidential waste that comes in an electronic form) and shredding and incineration (for waste containing sensitive information stored on paper). That can be done on-site or off-site at the facility of a special waste disposal or recycling firm that is GDPR compliant. Here, GDPR stands for General Data Protection Regulation. The latter came into force in May 2018 and it is a regulation in EU law that focuses on privacy and data protection. However, given that the UK is getting ready to leave the European Union in March 2019, it is not clear whether it will continue to recognise this regulation in its current form. However, for now, it is a requirement with which all organisations in the country must comply. Not only businesses should be careful when it comes to the disposal of confidential waste. Individuals should also pay attention to that. If you have any old banking documents, bills or even just unwanted post, don’t be quick to chuck it in the bin. Either shred it, recycle it or use the services of a local waste collection company such as Junk Removal London’s secure junk removals in Ickenham UB10. 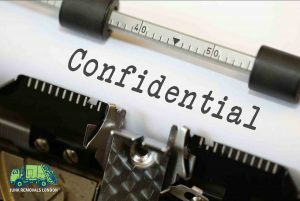 These pros can be trusted with the handling, collection and disposal of all your confidential waste.